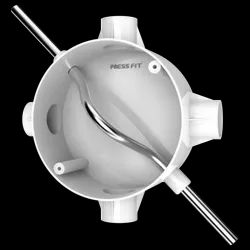 Press Fit - India's Leading Brand of Electrical Products - offers sturdy PVC Conduit Fittings that are superior in quality, available in wide range and affordable in price. 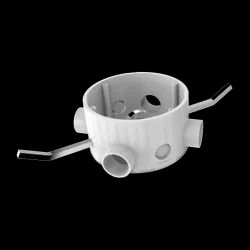 Fan Box With Hook offered by us is fabricated using a tough polymer with help of CAD & advanced machines. It is required for installing the fan on the ceiling in a safe & secure manner. 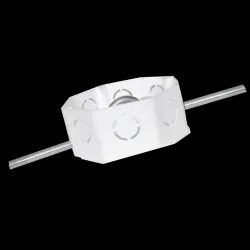 Junction Box has been made using excellent quality PVC polymer for showing resistance to adverse chemical properties, moisture, & fire. It is widely utilized as housing for electrical connections and also as a protective assembly. 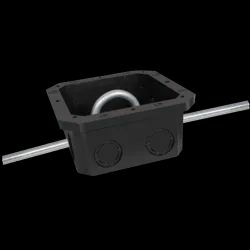 Deep Junction Box has been made using excellent quality PVC polymer for showing resistance to adverse chemical properties, moisture, & fire. 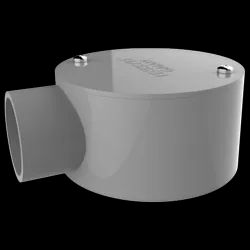 It is widely utilized as housing for electrical connections and also as a protective assembly. 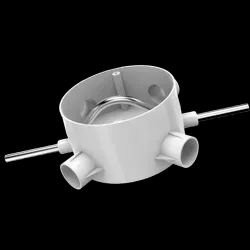 Fan Box With Hook offered by us is fabricated using a tough polymer with the help of CAD & advanced machines. It is required for installing the fan on the ceiling in a safe & secure manner.